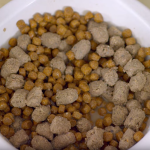 Green Pawz, a Bentley’s Pet Stuff Company offers all natural dog and cat food, all natural treats, and high-quality pet toys. Bentley’s Pet Stuff has acquired Green Pawz Pet Supply from founder Lisa Pearce. 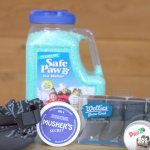 “We are super excited to announce our entry into the Michigan market with the platform of one of the best stores in the industry, Green Pawz,” Bentley’s Pet Stuff co-founder Giovanni Senafe said. Pearce will continue to hold a presence in Ann Arbor, Michigan, as Bentley’s plans to open eight to 10 more stores in the state within the next year, including the Grand Rapids and Kalamazoo areas. Bentley’s Pet Stuff now has more than 100 stores across 13 U.S. states. “Bentley’s Pet Stuff’s beliefs align perfectly with ours and we are very happy to say that all of our employees are staying on board, and they will now be getting health insurance and promotions from within” said Pearce, who will be instrumental in the company’s growth in Michigan. With the new acquisition of Green Pawz, Bentley’s Pet Stuff will continue to charge forward with its mission to keep pets healthy with natural foods, supplements and more. “We are looking forward to hosting great events in Ann Arbor and continuing to help the communities in Michigan,” Senafe said.